Spent a lazy Sunday afternoon at the Getty, mostly looking at a handful of Monets. Aside from being beautiful, they’re amazing glimpses into visual processing into the human brain. Impressionism is, at its core, lossy compression, right? 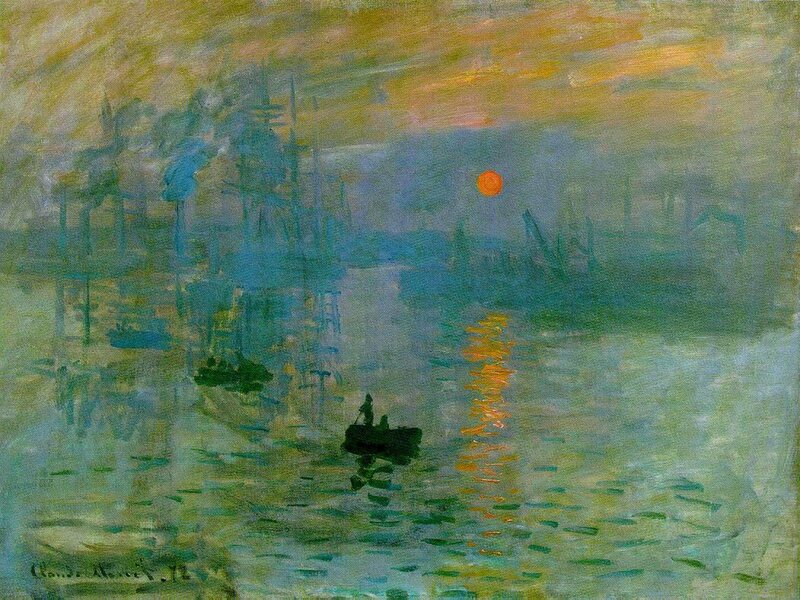 (To digress a bit, I look at Impressionism as a reaction against photography, which says to itself “Look, this camera can capture direct reality far better than I ever could. So what is my role as a painter and artist, now? My brush can never get the colors quite right, the perspective and angle quite perfect. Where is my niche, that I am not obsolete?”. So, impressionism is lossy compression, like a too-small .jpg (or, perhaps more accurately, one of those 8-bit tribute albums. It throws away information while still attempting to retain the overall picture. But the information it chooses to throw out seems to imply a wonderful exploitation of the human visual perception system. Sporadic dashes of green become ship masts, stacatto jabs of orange the sun, vague blotches of purple become the fog. But not, not overtly. (Classic computer vision & object recognition approaches would certainly work quite poorly on paintings like these. I’d be halfway curious to try to design a system that could do it well). I wonder what it was like for the first folks exploring this technique. Especially because, standing so close to the canvas, it’s easy to see the literal but hard to get the gestalt. Comments closed — Trackbacks closed RSS 2.0 feed for these comments This entry (permalink) was posted on Sunday, February 20, 2011, at 19:24 by mote. Filed in thought and tagged art, impressionism, monet.